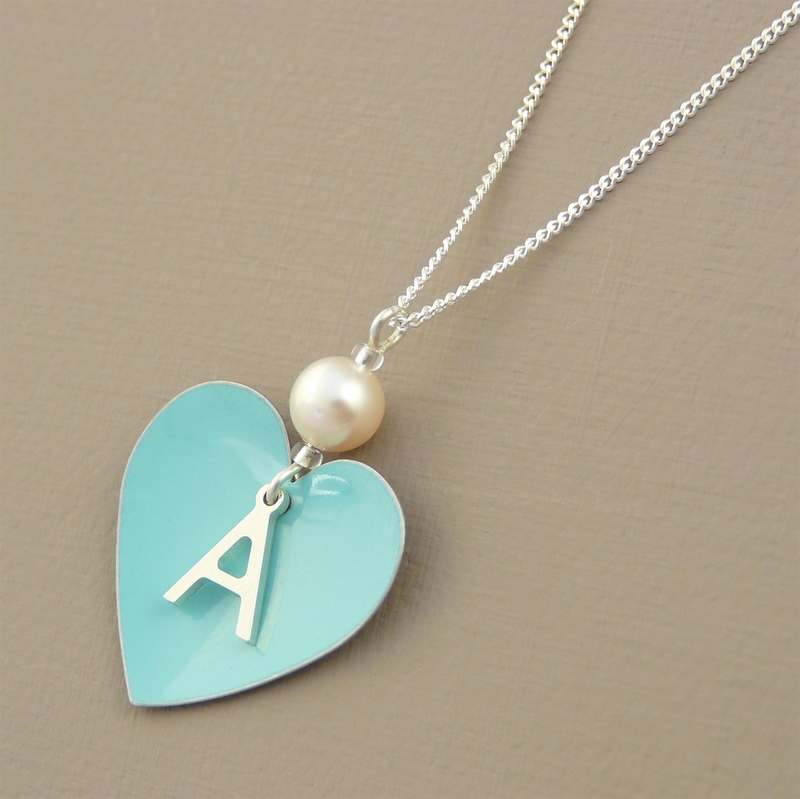 A personalised heart and pearl necklace is an ideal gift. 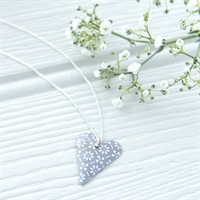 Our popular round heart shape is ideal for personalisation, so a delicate sterling silver letter charm creates a unique piece. A creamy Swarovski pearl finishes the look to give this necklace a classic twist. 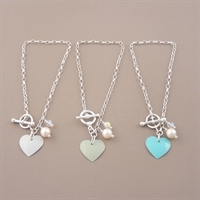 Round Heart pendant is available in ivory, mint or teal (shown in main image from left to right), and supplied on a 20" sterling silver curb chain. Choose your colour and personalisation from the drop-downs. Round heart measures 22mm x 22mm. 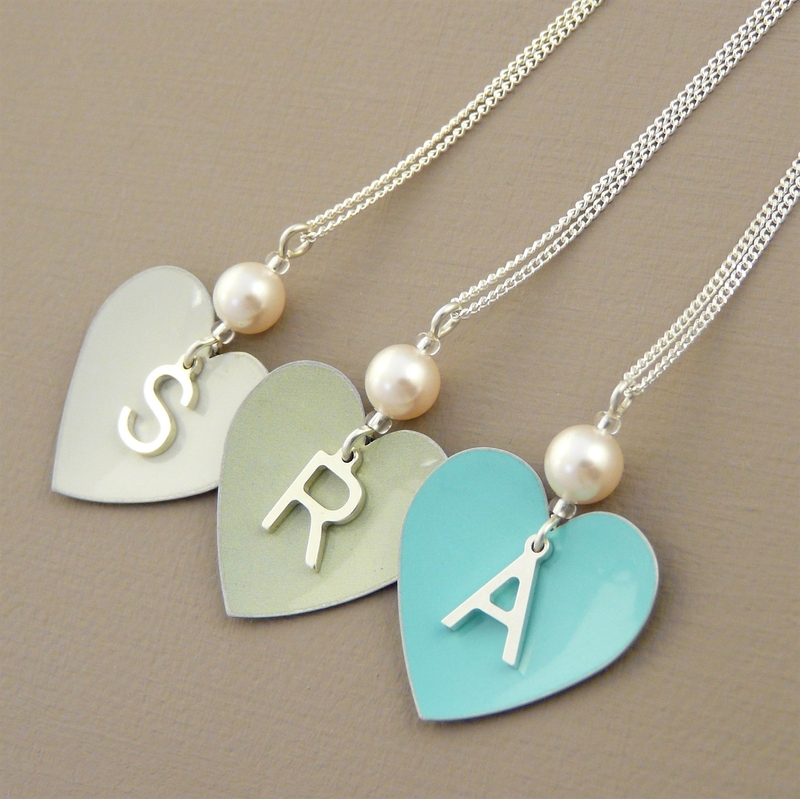 If you would like the heart in a different colour then please get in touch – we can create bespoke pieces in the colour of your choice. 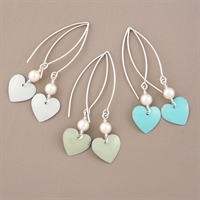 Pretty small heart earrings in three bridesmaid colours with pearl detail. Our popular heart toggle bracelet reimagined especially for your bridesmaids with pearl detail. 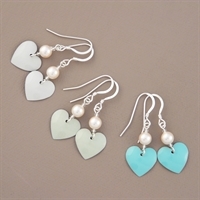 Pretty hearts with elegant pearl detail on medium earwires. 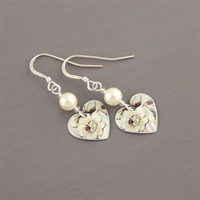 Small round heart-shaped earrings handmade in our floral print. 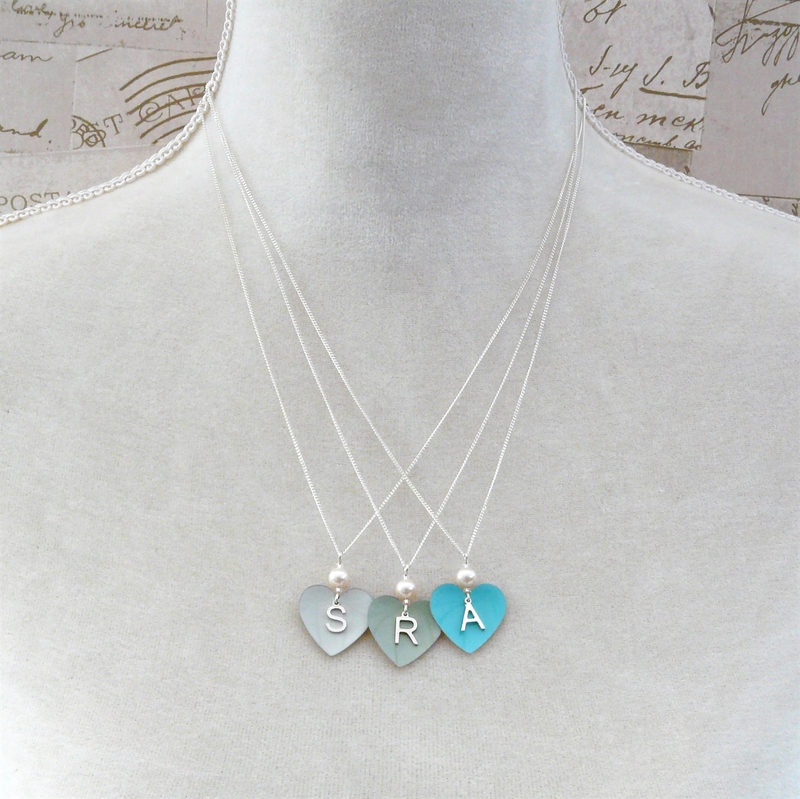 A butterfly and pearl necklace for little bridesmaids and flower girls.